"Until now, your Google Web History (your Google searches and sites visited) was cordoned off from Google's other products. This protection was especially important because search data can reveal particularly sensitive information about you, including facts about your location, interests, age, sexual orientation, religion, health concerns, and more. If you want to keep Google from combining your Web History with the data they have gathered about you in their other products, such as YouTube or Google Plus, you may want to remove all items from your Web History and stop your Web History from being recorded in the future." I think it's great that Google provides an option to opt out - but perhaps it needs to be more widely publicized? What are your thoughts? Are you opting out? Today's update to How-To Geek includes an article which addresses a very common problem with digital media on every college campus - how to improve the quality of low resolution images. This is great advice for digital image editors at all levels. Clever, Writing Center - rather clever. This looks like a useful workshop. Animators refer to a deviation from a cartoon character's model sheet or original design as "off model." I've adopted the term to speak about brand and identity guidelines with students. 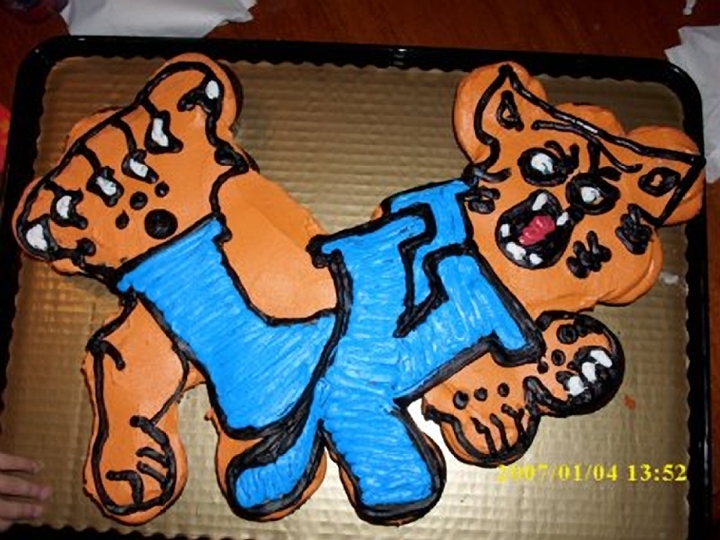 The hilarious website, Cake Wrecks has provided this perfect, local example of "off model" content in the wild. While jarring - surely, you can admit there's something whimsical and charming about this. It'd never pass snuff as a promotional image for the university (for good reason) but it has a certain je ne sais quoi. Thanks for the inspiration, Ars Technica. I'm always on the lookout for artifacts of graphic design. For example, I just ran across a catalog of Presstype materials from the early 80's. I've never produced any design work outside of a digital world - so it's a great way to appreciate just how much work went into the projects produced by my predecessors. 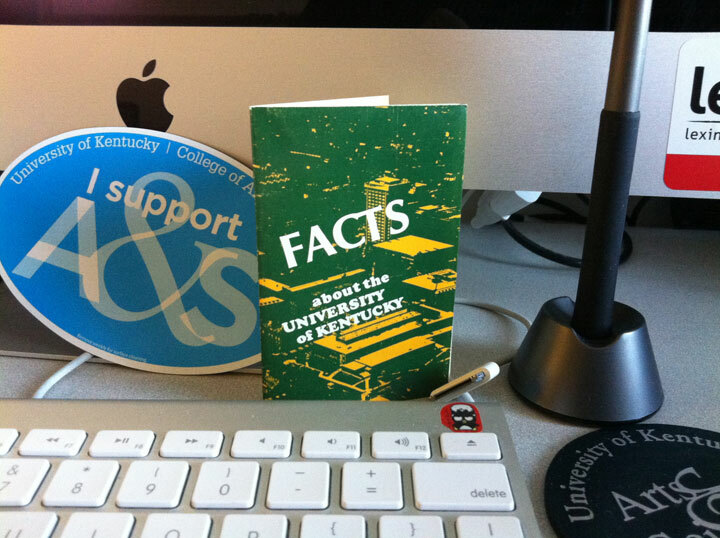 You can imagine that I was pretty excited when a friend of mine passed this little booklet along to me after his trip to UK surplus: "FACTS about the University of Kentucky." 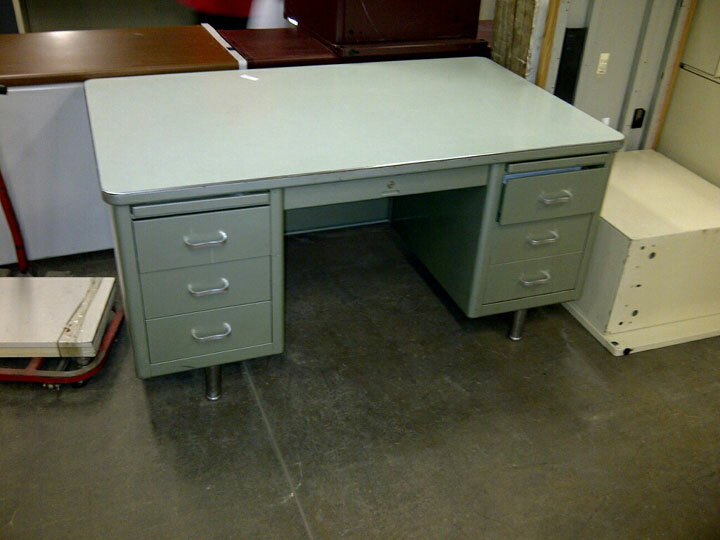 Appropriately, it was found inside of this "tanker" Steelcase desk. Attached to this post is a pdf of the booklet featuring a comprehensive breakdown of registration fees ($202.50 per semester for all colleges, save Medicine and Dentistry), degrees granted (4,471 between 1970 and 1971), faculty count (2,200) and other interesting tidbits. I hope you enjoy it as much as I did. Cooper is a great font, huh? I'd suggest that it's the overuse of QR codes as a vehicle for advertisement which fuels this in the first place. 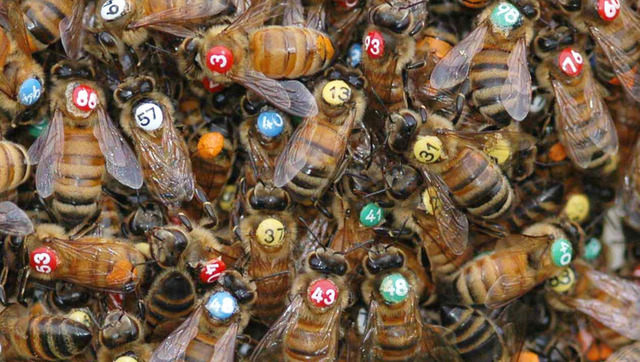 They have (had) great potential to deliver information in a rapid and portable way. Now I find that no one uses them because they're expecting to be redirected to just another bland sales pitch. What say you, students? How do you feel about QR codes? "In the midst of the growing industry pressure to force-feed these barcodes into the marketplace, we noticed a profound indifference being shown to QR codes by the one demographic that can make or break a trend — college students." I'm not sure if I prescribe entirely to Yoshioka's philosophy but he's nothing if not poetic - most especially visually. "So what do you get when you put together a tank full of black ghost knife fish, some audio equipment, and a bunch of crazy people? A fish chorus. Black ghost knife fish, which would totally be an awesome name for a band, use electricity to pick up information about their surroundings. If sensors convert the electric field to sound, and someone rigs up a way to manipulate the sound and add effects, then people could mix, or conduct, a knife fish musical. People can choose one fish at a time, or pick a bunch of them to sing together." Via io9.